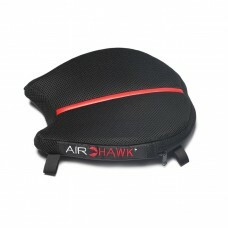 Airhawk Seat Pads can seriously extend the time you spend in the saddle in comfort. 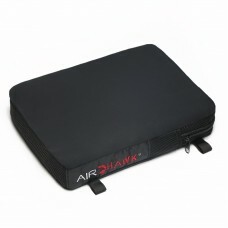 Their Dry Flotation technology was originally developed for use in the medical industry for wheelchair users, who were at risk from pressure sores and ulcers. 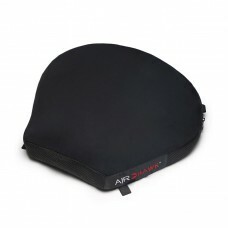 The pads feature inter connecting air pockets within the cushion to equalise the pressure over the weight bearing areas of the body. 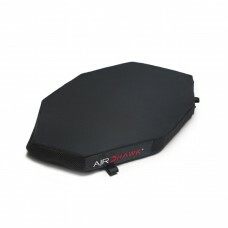 Lateral thinking saw that this system could be equally effective for motorcyclists. 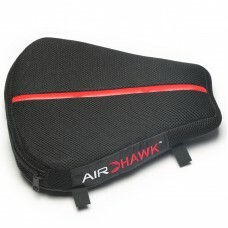 Not only do Airhawk seating pads relieve numbness, they also help to control vibration and absorb shock, and can easily be transfered from bike to bike. 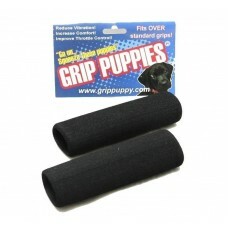 Grip Puppies Reduce vibration, Improve throttle control, increase comort. 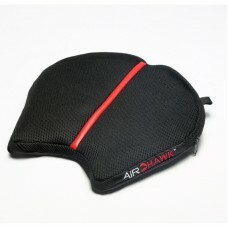 Do you suffer..
Airhawk Cruiser R - Small - Red Stripe - Comfort Seat Cushion Airhawk Seat Pads enable yo..
Airhawk Cruiser - Medium - Comfort Seat Cushion Airhawk Seat Pads enable you to ride longe..
Airhawk Cruiser R - Large - Red Stripe - Comfort Seat Cushion Airhawk Seat Pads enable you..
Airhawk Dual Sport DS - Red Stripe - Comfort Seat Cushion Airhawk Seat Pads enable you to ..
Airhawk Cruiser - Small - Comfort Seat Cushion Airhawk Seat Pads enable you to ride longer..
Airhawk Cruiser - Pillion - Comfort Seat Cushion Airhawk Seat Pads enable you to ride long..